There are many things we love about our industry and our jobs – the quest to continually raise the bar, the rush of taking on new challenges, the excuse to pick up new Gala-ready outfits on the regular – but the very best part is hands down the smart, talented, and inspiring people we get to collaborate with. Case in point: Lisa Marks, CSEP, BComm, a multi-talented, whip-smart event prof whom we’ve worked alongside for many years in her role as head of events for Shaw Communications. 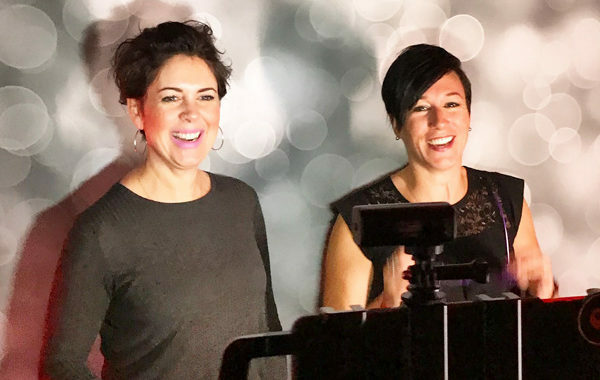 Lisa recently decided to strike out on her own with her new business Brand Alive, bringing her decade of industry experience and deep knowledge of experiential marketing and the connecting of brand to events to a diverse range of clients. From innovative activations at major festivals to culture-defining employee events, brands and live experiences have never been more intertwined. As this side of the industry continues to explode, a rich understanding of brands and how they communicate becomes more and more critical for event profs. We asked Lisa to share her insight on taking brands to a more experiential and interactive level – here’s what she has to say. Q. How has experiential marketing become so critical to today’s smartest brands? Q. Why is experiential marketing so powerful? 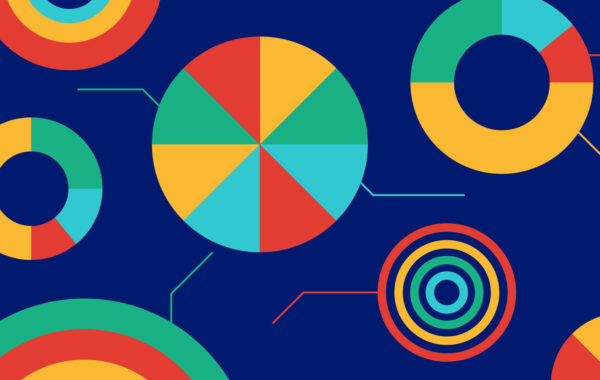 “Now more than ever, people want to interact with brands in order to feel connected to them, or at least to understand the impact that the brand can have on their life. 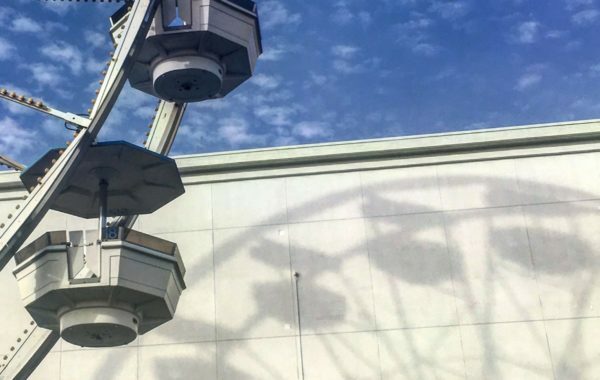 At the heart of any experiential marketing endeavour is the desire to personify a brand, and to make (and capitalize on) in-person connections. Q. How do you determine if a festival, conference, or other event is the right fit for your brand? “Let’s go a bit deeper. The area to focus the most energy on is the relationship with the property or parent brand, versus one specific event or festival. To get the most bang for your buck as a corporation or brand, find a property to partner with that is a long-term match. Take your value pillars and use them as your guiding light to seek out community partnerships with brands or properties that value the same things, or at the very least have a vision or mission that works well with yours. This could be anything from youth in sport, to healthy lifestyle, to the STEM and educational space… anything that really means something to you/your brand, and to your audiences (customers, clients, and employees). As you explore potential partners, find out about all of the opportunities for equity building and exposure – in other words, existing events or experiences for you to get involved with. A good partner can show you numbers, data, and metrics, as well as the community impact of previous projects or events. Once you’ve formed a partnership, year-over-year growth is essential. Seek out new opportunities to gain exposure within the partnership, perhaps in the ‘shoulder season’ between large activations. This may mean that in year one, you only activate at one event for the year with this partner. In year two, you may activate at the same event, as well as host a few additional community initiatives that leverage the brand. A good partner will come to you with ideas on how to expand your reach and engagement. Q. Are there risks that brands should be aware of, or things to consider before moving ahead with experiential marketing? “Of course. There are some obvious risks related to insurance, liability, cause, and indemnification that can lead to a whole mess of problems for a company. In my role at Shaw, I was obsessive about involving our legal and insurance teams before we designed an activation to ensure they were aware of our approach and could have line of sight into the final result. Q. What are the biggest lessons you’ve learned in executing branded live experiences? “First, brand building doesn’t happen in a vacuum. Brands are really a product of the world around them, so tapping into the opinions and mindsets of humans using a live experience model is just a smart strategy. I have learned that, in the eyes of the brand or organization, the most successful activations are ones that involve as many teams and departments from inside the business as possible, in meaningful ways. Loop the community investment team in to include a community give-back opportunity within the activation. Offer the employee communications team a chance to create an experience for employees within the activation, enabling that internal team to leverage the activation for their own goals. When multiple internal stakeholders feel like they achieved an objective out of the activation, it is no longer seen as a cost-spending activity; it is seen as a powerful tool to help the entire organization win. Q. What are your top tips for creating a memorable and impactful brand activation? Know your objectives, and know how success will be defined in the eyes of the key decision makers within the brand. Design your activation to track and gather as much patron data and lead generation opportunities as possible. Then, USE IT. Follow up, warm the relationship, and build your brand lovers. Solve a problem for patrons at the event – water, wifi, connectivity, seating, heat, power, front-of-the-line access, etc..
Go deep and wide by involving other strategic partners (community relationships, other sponsors, etc.) of the brand within the activation, allowing them to sub-activate within your design. This will offer your patrons access to a unique combination of brands at this one-time experience. Q. Can you share some examples of great brand activations that you’ve been involved in personally, or just been inspired by? “Shaw’s partnership with the PGA TOUR Champions in title sponsoring the Shaw Charity Classic and building a deep and wide activation plan within the property is extremely impactful and, in my eyes, a diamond in Canada’s sponsorship landscape. Our sincere thanks to Lisa for sharing her valuable insight, and we encourage you to click over and connect with Brand Alive. We can tell you from personal experience that you will not be sorry you did, and that collaborating with Lisa will take your own game to a whole new level. If you have thoughts on this conversation or want to talk about how we can help you take your brand to the people, drop us a line here. In light of recent news and upcoming changes, what does responsible data collection in the events industry look like? How a chance encounter sent our minds spinning with inspiration. 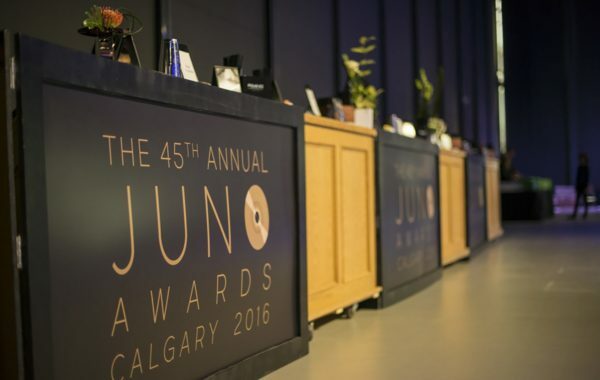 A glimpse into our role in the event design and logistics for the 2016 JUNO Awards.